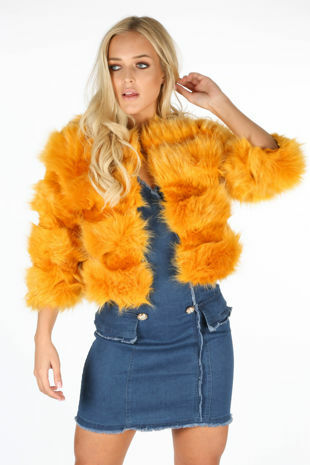 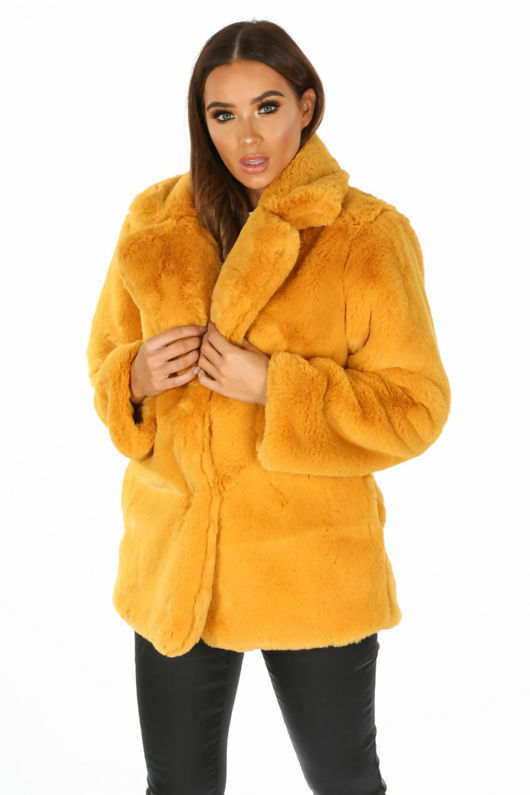 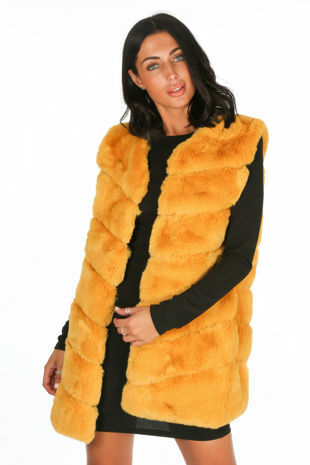 Every girl needs a faux fur jacket in their wardrobe and we're obsessed with the Soft Luxury Faux Fur Jacket In Mustard. 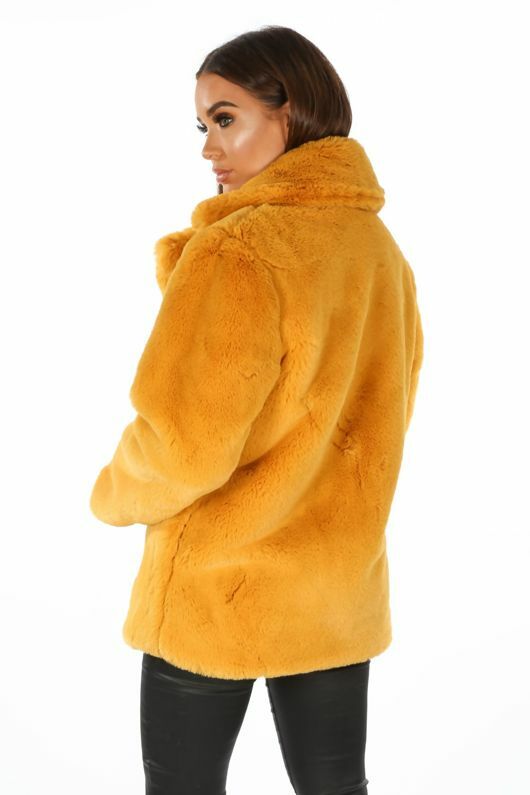 This coat is made from a luxury soft touch faux fur fabric and is fully lined with a satin like material. 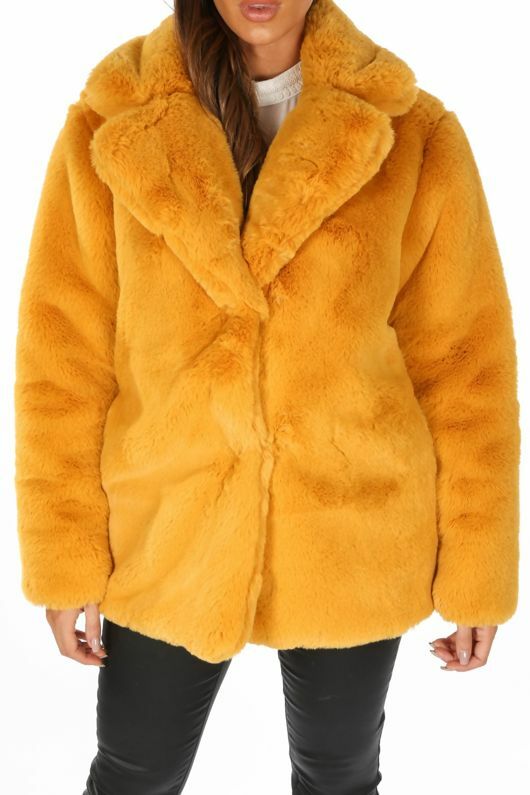 It features long sleeves, lapels to the front and is finished off with a button fastening. 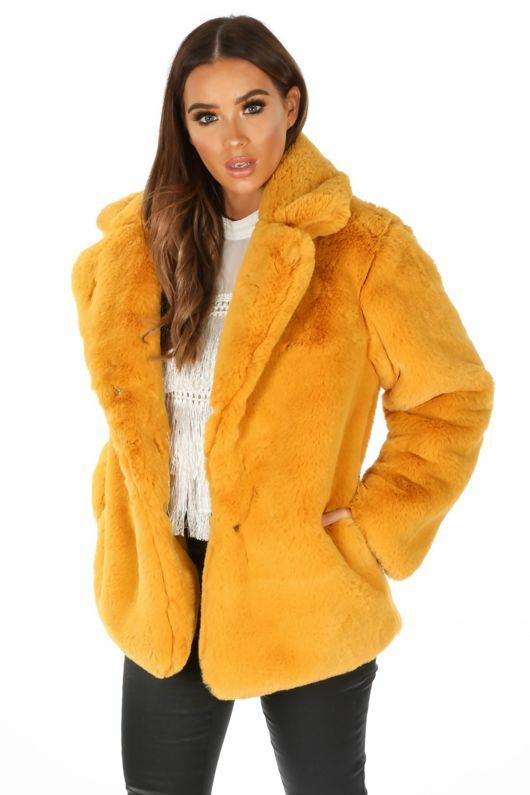 It'll keep you warm in the colder weather, throw it on for everyday wear over a pair of jeans and a knitted jumper to stay cosy.